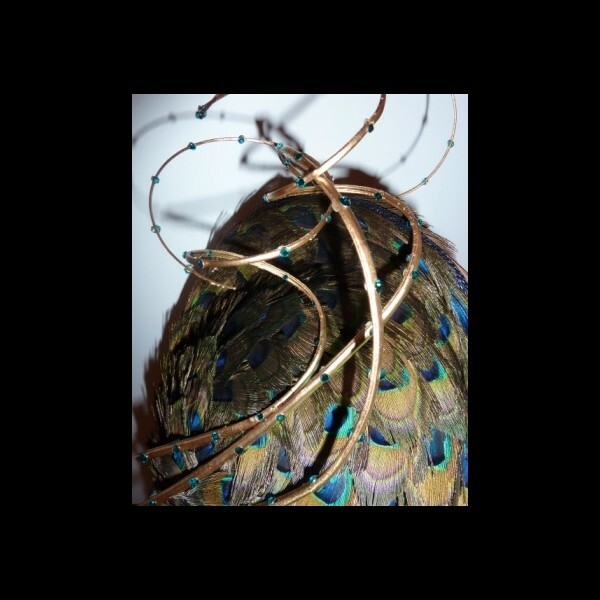 One of my signature Peacock feather saucer headpiece, round in shape, measuring approximately 23cm in diameter. 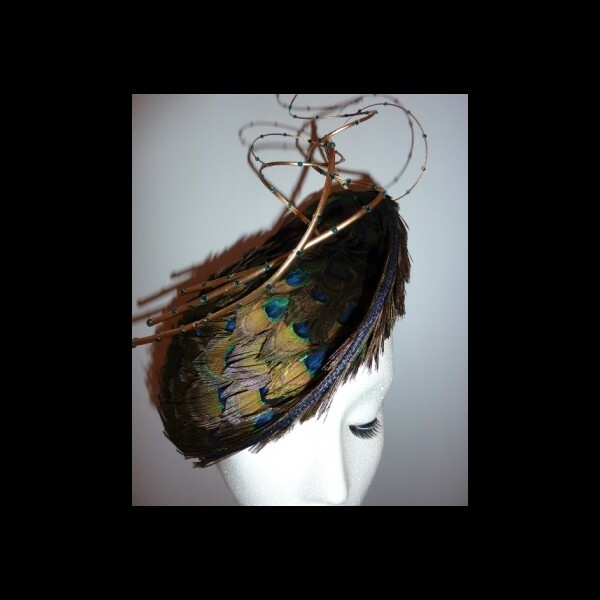 Worn on the right side of the head and mounted on a slim hairband this striking piece is covered with Peacock feathers on both sides. 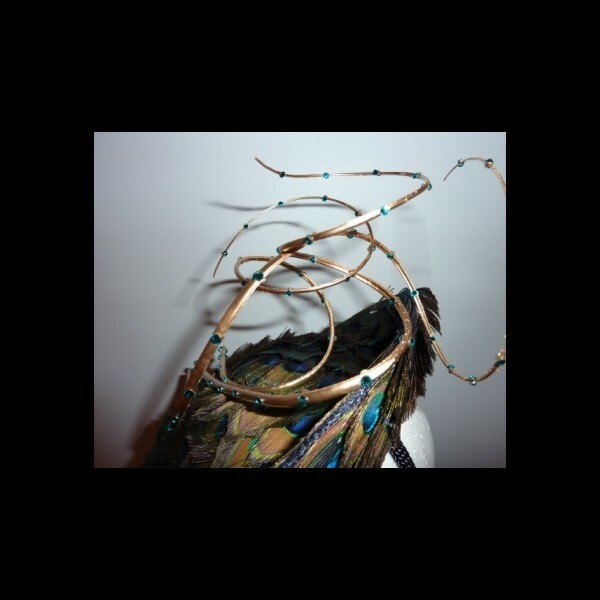 The finishing flourish is a tangle of stripped ostrich quills that have been dyed gold and encrusted with an array of Blue Zircon Swarovski crystals. 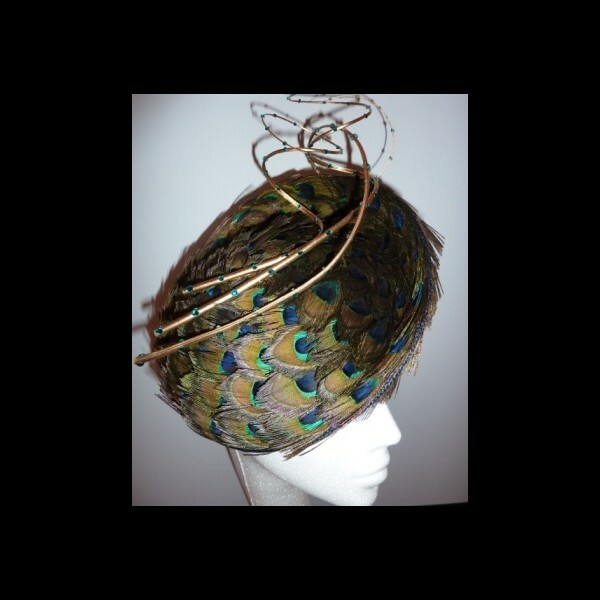 The first two pictures are of Chloe Jasmine (X-Factor) modelling a very similar headpiece from Gorgeous & Glorious and a dress from Arzu Kara.